In my last article, “Are we facing a crisis of trust?”, I examined the impact of the global rising tide of distrust at both the societal and the organisational level, and how trust has now become a critical leadership competency. A leader’s ability to demonstrate consistent behaviour, communicate clearly and tackle difficult issues (the elephant in the room), is critical to achieving high performance. In this issue of Insights I expand this further, exploring the value and enemies of trust, and, perhaps most important, what you can do when trust is damaged. Trust may be intangible, but it is a very powerful asset. In a business context it can be measured and influenced. Many organisations use customer or employee satisfaction surveys to track trust, but it’s often overlooked as an organisation wide measure of performance. Provides permission to be authentic. 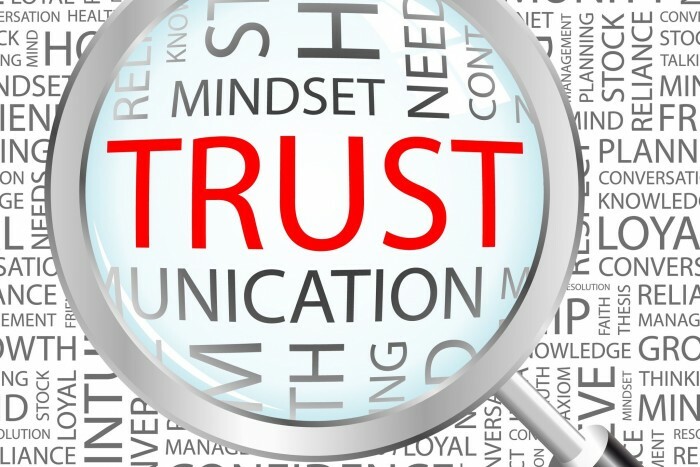 Whilst it appears to be widely accepted that being viewed as trustworthy is advantageous and impacts positively on business performance, many leaders focus on trust only when there is a need to repair or rebuild it, such as in response to a crisis. Interestingly, many organisations are unaware of how trusted they are until a crisis hits. However, being proactive in building trust with key stakeholder groups can mitigate the severity of impact of a crisis. 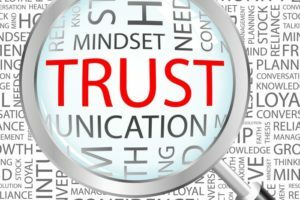 Organisational trust – the trust in the company itself. The complex nature of how businesses run on a day to day basis provides many opportunities for trust to break down. For example, consider an employee who has been over-promoted and is simply out of his/her depth, people may wonder why they are in the role at all, and direct reports learn to work around them, however the direct manager is reluctant to do anything about the issue as no real harm is being done and the incompetence continues to be ignored. The manager’s misplaced benevolence in avoiding the ‘elephant in the room’ destroys trust at all levels – the team mates don’t trust their colleague or their manager, and the manager cannot trust the individual. Most people in an organisation would describe themselves as being trustworthy, and believe that most of their colleagues are as well; this is a question of individual or personal integrity. However, when you consider the issue of trust at an organisational level a sizeable percentage[iii] say that they have little or no confidence in the group’s collective capability to build and maintain trust. Information flow is easily controlled between two individuals, and when problems arise both parties can communicate directly to deal with it and agree expected outcomes. Whereas within an organisation people are bombarded with multiple, often contradictory, information and different groups may have different, even conflicting, goals. It appears to take more than personal integrity to build a trustworthy organisation. Trust at the organisational level is far more complex and fragile than trust between two individuals. It requires skills, supporting processes and unwavering attention from organisational leaders. What and how should leaders communicate in times of crisis, or significant change? Particularly when they don’t know the full story themselves yet. Such situations create varied opportunities for trust breakdowns. Employees quickly sense change, and if they are not provided with adequate information rumours are likely to start and grow – any information they get their hands on is overinterpreted and over-analysed. This is a real challenge for leaders, and sometimes communicating less offers less chance of being misinterpreted. However, the golden rule appears to be communicate as much as possible and set clear expectations, never exaggerate. Unfortunately, people are likely to hold leaders accountable for not just what was said, but what they think was said. Often in times of crisis, it is not the incident itself that damages trust with employees, it is the way it is handled. Crisis response is initially focused externally, on customers, shareholders, and the media, in order to stem the impact on revenue and reputation. Employees are expected to deal with the crisis as best they can, which can lead to significant stress, potentially resulting in normally competent managers feeling fragile, guilty, overwhelmed and unable to cope. When everyone worries, trust evaporates. This is where effective communication and reassurance is critical, employees will look to leaders to set an example. There will be times when trust is badly damaged, and the only option is to rebuild. The first step is to figure out what happened, what went wrong – was it an isolated incident or a systemic issue? Next try to understand the severity of the damage, how deep and wide is the impact of the loss of trust? Once you have grasped this, tackle it head on, communicate swiftly to acknowledge trust has been damaged and that you are committed to setting things right. And finally, work out exactly what you need to do to rebuild trust, and take action – quickly.